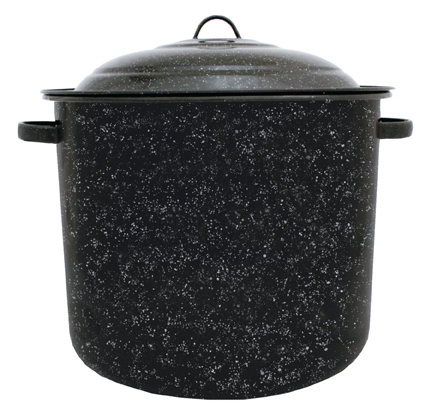 This 50 quart jumbo stock pot is perfect for serving large groups. Made of porcelain, this stock pot is durable and will not easily burn or stain. It's non-porous surface will not trap odors or food particles, it is easy to clean and is corrosion resistant. Additionally, the pot has a steel core which makes it an excellent heat conductor, requiring less time and energy. So go ahead and enjoy making huge servings of soups, seafood, chili - any any number of delicious, hearty meals or any other chemicals are used that may affect food taste, color or healthfulness.